Staff in Australia gathered for a “micro conference” in Melbourne, October 9-11. 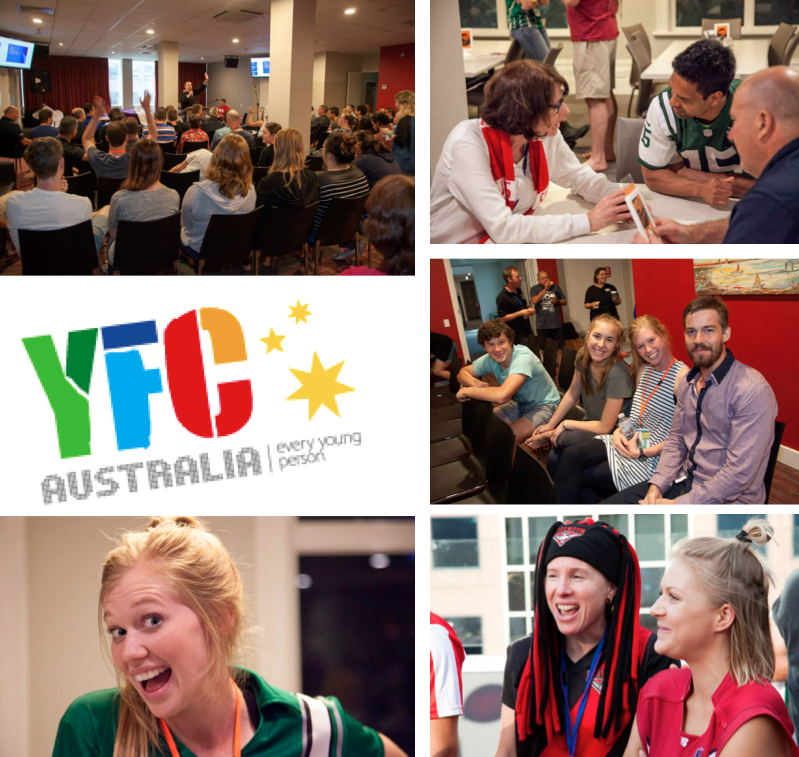 Pray that the keynote messages that Cameron Butler of Sports Chaplaincy Australia shared would continue to challenge the staff toward developing deeper, authentic, loving, and grace-filled relationships with the young people they come in contact with. Thank God for bringing Cindy McGarvie on-board to serve as the new CEO for Youth for Christ in Australia. Pray for the Holy Spirit to lavish great wisdom, ability and expertise on Cindy as she leads.